Rishikesh - the city where past, present and future merge into one - where culture & religion, adventure & adrenaline cohabit the same space - where people go looking for peace of mind and mind-numbing thrills alike. Yes,that's exactly where we're going!!! 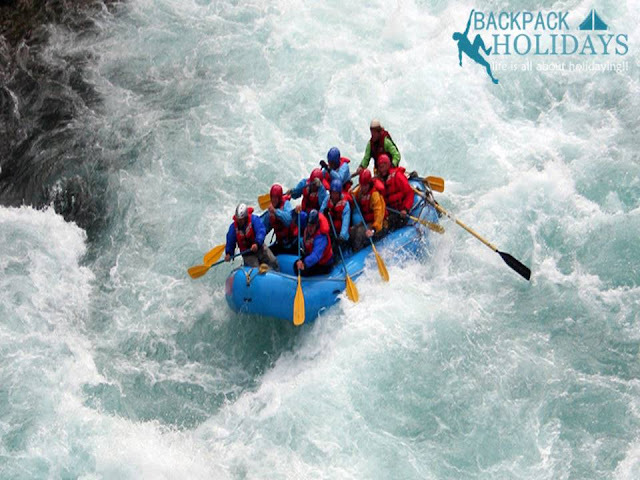 Join Backpack Holidays this November on a trip that encompasses all that one can look for in Rishikesh: White water rafting & Bungee in the Roaring & Magnificent Ganga; And an evening Aarti at the Ganga ghats for the devout & not so devout alike. Oh and to complete the experience, Explore the serenity, thrill & mystique of the city from the comforts of a jungle campsite. Day 0: Adventurous trip begins with Haridwar Express - 22917. It departs from Mumbai Central Terminus at 11:50 am on a day before the trip starts. Reaches Haridwar on next day at 03:35 pm. Chilling time in train. Know each other, make friends and have fun in train. Reach Haridwar station on Day 1. Transfer to Campsite by Private Bus. Experience outdoor games like volley ball and fun games with new friends. Post dinner experience the night jungle trail. Enjoy the nature at beautiful campsite. finally the day has dawn, when you will challenge your limits and overcome all kind of Phobia's. Yes the day is reserved for Bungee Jumping. Jump down to gain confidence. After this you can also enjoy other adventure activities at that place at your own cost. Evening back to Campsite. Evening Rewards and Certification for participants. Enjoy Barbeque in the riverside campsite, have dinner and freak out on the tunes of the DJ and go to rest. Yesterday was the day when you played with winds, today is the day to get sporty with water. One more day of adventure Rafting of 26 kms at Rishikesh one of the best rafting in India. Also, enjoy the Cliff Jumping in the Water of Ganges. Post adventure activities, we go for Rishikesh Exploration- Lakshman Jhoola, Ram Jhoola. Lunch at the very famous Chotiwala Restaurant. After Lunch we proceed to Haridwar Station for onward journey.